52% of exhibitors say they exhibit because it allows them to see many buyers at one time. Think about it – thousands of trade show attendees actually pay to visit the show, walk down the aisles, and then walk by your trade show booth! It would take many months of direct sales to equal the number of buyers you can meet with while exhibiting at a trade show. 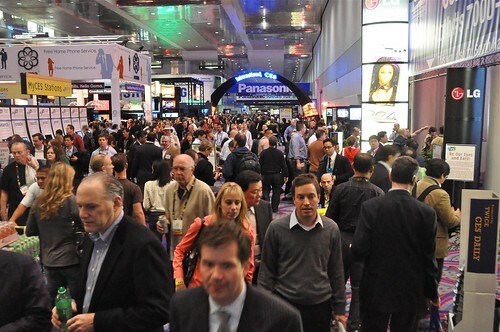 Why do you value trade shows? For the reasons above? Or some other reason? Let us know in the comment box below. You can read more about the value of trade shows – including another 7 reasons why exhibitors value them – in the 24 page white paper The Value of Trade Shows. Click here to request your free copy. We are a trade association and support a whole industry. We have membership options, education, and a big tradeshow. We are expanding the show to add in a retail sector. There is another tradeshow that is our direct competition for the retail side of our industry. I am trying to find reasons to get vendors to exhibit at ours as well as ours. I am not asking them for one or the other but to try ours out. The opposition has been that vendors don’t want to spend more money just to see the same people that they do at the other shows. We have more added value to we offer the industry but how can show value to the vendors that we want to show? Even if you have a competing trade show, your show may still give potential exhibitors ways to profitably grow their business. If your show is at a different time of year, you can give them access to show goers who are in a different stage of the buying cycle compared to the other show. If you are in a different geographical region, you may give them more of an audience from that area. No attendee walks a show and visits every exhibitor — by exhibiting at your show, your exhibitors get another bite at the apple. And finally, you may be surprised how many attendees simply choose to go to one of the two industry shows, and so there is less attendee overlap that expected. Measure all this with surveys and audience profiles, and then make you can make your case. What other questions do you have that we can help you with? There have been a few trade shows in our area, and I wanted to see what the benefits of them are. It’s interesting that they actually lead to new buyers and prospects! I’m sure that there are people starting out that are new that need the publicity. My wife and I recently got home from a trade show. We really enjoyed looking at a bunch of different products that were offered by a variety of different companies. I didn’t realize that companies love trade shows because they are able to create or strengthen relationships with other companies in their industry. I’ll remember that next time I go to a trade show.